Suture manipulation is a key point in arthroscopic surgery. Sutures are mainly used in shoulder surgeries. However, during meniscal repairs, some ankle and elbow arthroscopic procedure surgeons need ability of suture manipulation. 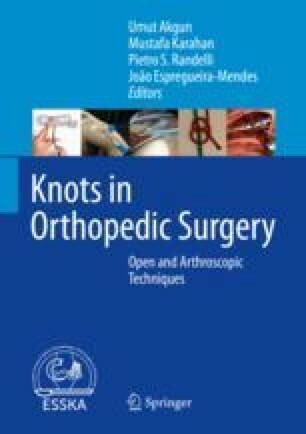 In this chapter, we will focus on suture manipulations during shoulder arthroscopies such as basic suture handling and configurations. All these maneuvers can be adapted to other procedures in different joints.